A BRITISH GOVERNMENT minister has resigned and said he is “deeply ashamed” after being exposed sending an avalanche of lewd social media messages to two women. 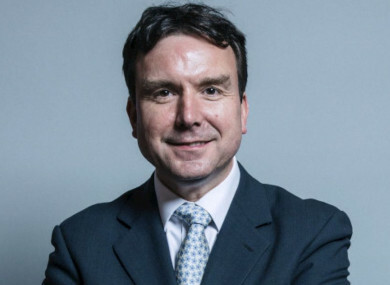 Small business minister Andrew Griffiths, formerly Theresa May’s chief of staff in opposition, said he had stepped down on Friday, as the Sunday Mirror newspaper published details of his chats with the two bar workers. Imogen Treharne, 28, told how the married Conservative lawmaker, 47, whose first child was born in April, bombarded her with more than 2,000 messages in three weeks. The MP sent the women £717 (€810) in return for explicit pictures and videos. He asked them to tie each other up, among other requests. “I am deeply ashamed at my behaviour which has caused untold distress to my wife and family, to whom I owe everything, and deep embarrassment to the prime minister and the government,” he said in a statement. “I tendered my resignation as parliamentary under secretary of state for small business on Friday. “I do not seek to excuse my behaviour and will be seeking professional help to ensure it never happens again. In time I hope to earn the forgiveness of all those who put their trust in me and that I have let down so terribly. Pending an investigation by the Conservative Party, he will sit in parliament as an independent, though he said the government retained his “full support”. A spokeswoman for the business ministry told AFP that Griffiths had resigned “for personal reasons”. Email “British minister resigns over lewd messages to women ”. Feedback on “British minister resigns over lewd messages to women ”.